In Vitro Meat (IVM), or lab-cultured meat, aims to transform the livestock industry into a more sustainable and ethical enterprise, but it will have to get through a few hurdles first. IVM involves taking a small sample of animal tissue to grow it into consumable meat, which is no simple task. It is being developed as an alternative to the livestock industry, which is a significant contributor of greenhouse gasses, uses up to 30% of arable land, and has been subject to criticism for animal rights violations. 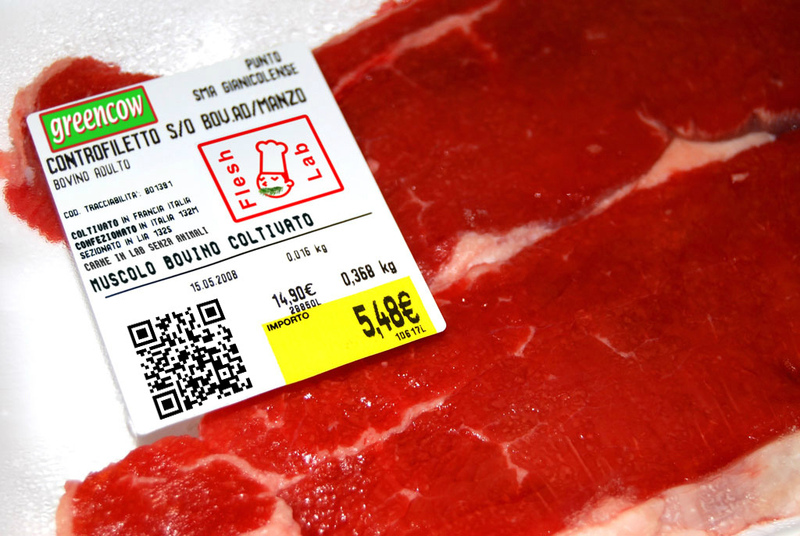 Despite the increased awareness of these issues, the Food and Agriculture Organization of the United Nations (FAO) predicts that meat consumption will increase 73% by 2050, particularly in developing countries where median incomes are rising. This presents a niche market for IVM, which scientists are now trying to scale up while reducing costs. The real challenge will be to effectively communicate this technology and actively engage with ethical issues and consumer fears. 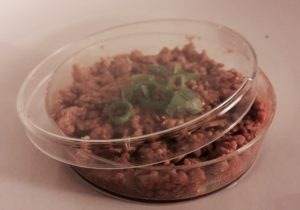 In vitro meat (IVM) could one day be a reality. This image, while fake, shows what could be in future meat departments. IVM is reminiscent of stem cell research and genetically modified organisms (GMOs), which were promising research fields that sparked intense debate in the early 2000s. Religious concerns resulted in the restriction of federal funding to stem cell research during the Bush administration; distrust of the safety of GMOs led to heavy regulation and banning of these crops in certain countries. We are only now gaining momentum in these fields. For instance, in 2013 (nearly 12 years after the funding ban), stem cell transplants were shown to regrow heart tissue in heart attack patients. Golden rice, a genetically fortified rice produced to combat vitamin A deficiency, was developed in 2005, though it is still not commercially available. Perhaps if scientists had more effectively communicated stem cell science or been more transparent about transgenic plants, more progress would have been made today without controversy looming. The same case can be made for a technique like IVM. Lab-grown meat may be the sustainable alternative to the livestock industry. Effective communication is easier said than done. I recently witnessed a conversation that mirrors the discourse we often have about novel technologies. On our way to lunch, my cousin mentioned the first lab-grown burger presented to the public in 2013 and cited the benefits of such a technology, to which my aunt responded with disgust at how unnatural IVM was. As they went back and forth about the environmental impacts of the factory farming system or the moral implications of culturing meat, the conversation got pretty heated. I stayed out of the argument, which seemed to only breed misunderstanding and frustration, but decided to research IVM later to bring up in a more neutral manner. With any new technology, backlash is inevitable. Today, however, the emergence of new technologies and their integration into society far exceeds the rate of their communication to the public. The controversies around stem cells and GMOs reveal just how important effective communication is early on to the acceptance of a technology. Beyond their work in the lab, scientists should think about their role as communicators, especially when the steaks are so high. 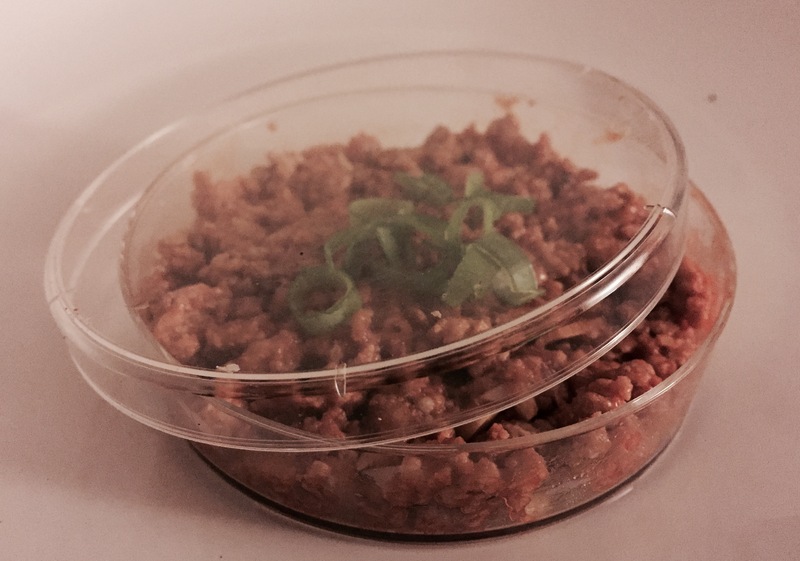 Read more about In Vitro Meat here or here. Read about some of the critiques and challenges of IVM here. Peer edited by Tyler Farnsworth.